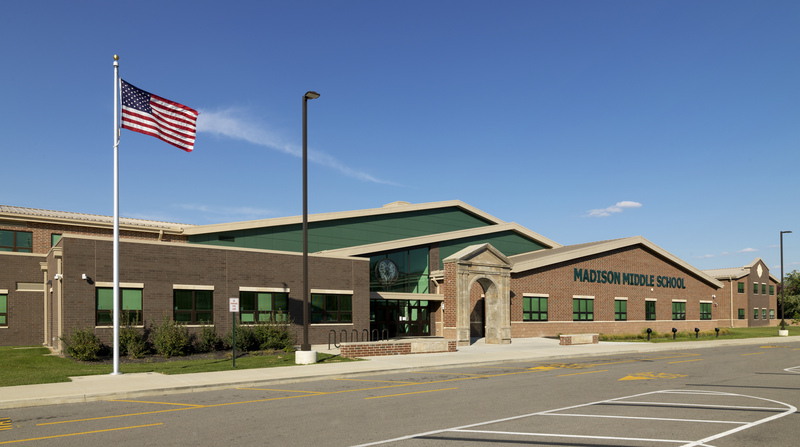 Madison Local Middle School was designed to house 943 students. It features two bi-level academic wings with separate administrative areas serving each. A large performance stage fronts onto a tiered auditeria space, which serves as the central hub of the building. The second floor media center has views onto the auditeria space from the open balconies. The band and vocal music suite is separated from the academic learning areas to minimize noise disruptions. 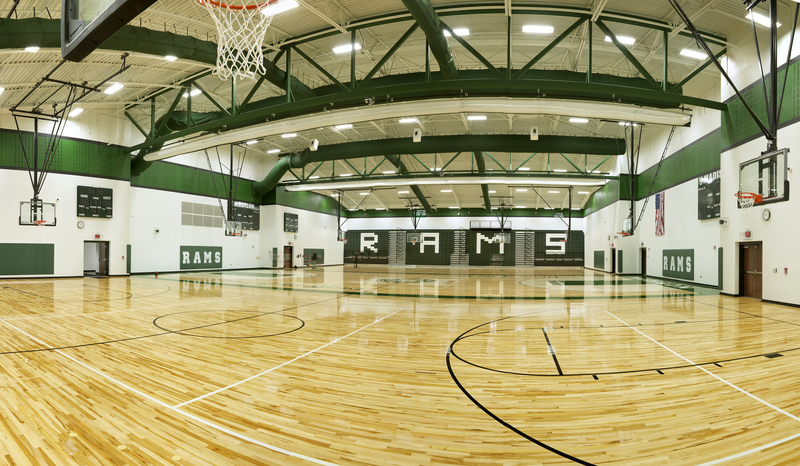 The competitive gymnasium has 3 full size courts, with an additional auxiliary gym, 3 separate locker rooms, weight room and training room. Space was allocated throughout the building for extended learning areas, incorporating 21st century design principles. This project achieved LEED® Silver Certification.